Presidential spokesperson Salvador Panelo holds a press briefing for the Malacañang Press Corps at the New Executive Building in Malacañang on March 25, 2019. MANILA, Philippines — The Philippine government can only do so much as protest China's actions in the West Philippine Sea as Beijing has control over the area, Malacañang said Monday. According to reports, the Chinese coast guard has been driving away Filipino fishermen in Scarborough or Panatag Shoal, a traditional fishing ground off the coast of Zambales. Earlier this month, it has also been reported that the Chinese have been denying access to Filipino fishermen in sandbars near Pag-asa Island, which is under the jurisdiction of Palawan. Presidential spokesperson Salvador Panelo said that if these claims were proven, the government would certainly protest Beijing's aggression in Philippine waters. "May magagawa ba tayo eh sila ang may control as of now. 'Di ba meron silang puwersa doon. We can only protest like any other country na nagke-claim like Vietnam," Panelo said in a press briefing. Asked if the Philippines was powerless against China, Panelo said nobody has been able to enforce the July 2016 arbitral ruling on the South China Sea. The United Nations-backed tribunal had ruled in favor of Manila, invalidating Beijing's historic nine-dash line claim over the South China Sea, part of which is the West Philippine Sea. The arbitral tribunal, however, does not have an enforcing mechanism. Beijing had been refusing to acknowledge the arbitration, claiming indisputable sovereignty over the South China Sea. "Has any arbitral ruling by this international court been enforced previously? 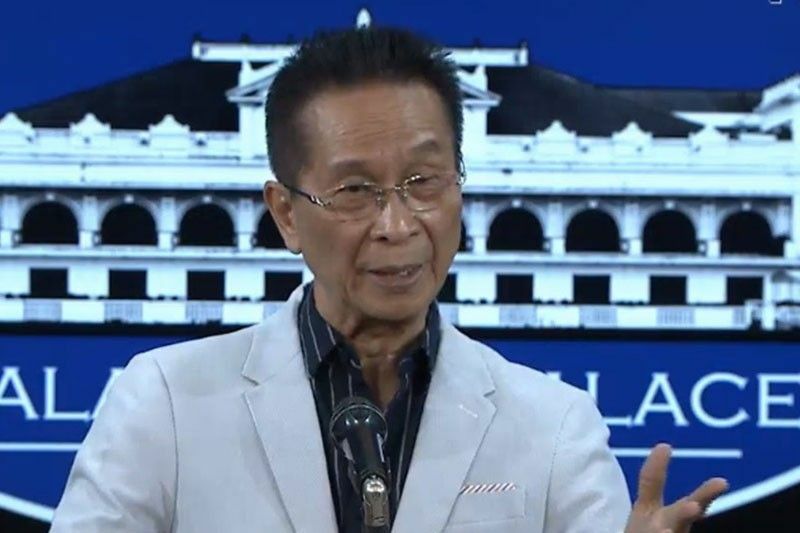 Kung meron may pag-asa tayo, kung wala sa ngayon wala tayong magagawa so pag-usapan muna natin sa negotiation," Panelo said. Despite the victory from the arbitral ruling, the Duterte administration decided to set it aside to pursue stronger ties with Beijing. The Philippines and China opted to hold a bilateral consultation mechanism to settle the maritime dispute. Panelo's recent pronouncements on China's occupation of the West Philippine Sea are similar to President Rodrigo Duterte's remarks last year during the ASEAN Summit in Singapore in November. In an ambush interview with reporters, Duterte acknowledged that Beijing had control over the disputed features upon expressing opposition to military exercises in the South China Sea. "I said China is already in possession. It's now in their hands so why do you have to create frictions... military activity that will prompt a response to China," said in November 2018. Supreme Court Senior Associate Justice Antonio Carpio earlier warned that such remarks from the president could waive the country's rights from the 2016 arbitral ruling. This would be the case if Duterte unilaterally declares this and if China accepts the pronouncement. "If the president says 'I am setting aside the ruling,' the doctrine is that that binds the country if it is accepted by China. That declaration is a declaration against the interest of the state and it will bind that state because the president is the representative under international law," Carpio said in July.